WHAT? 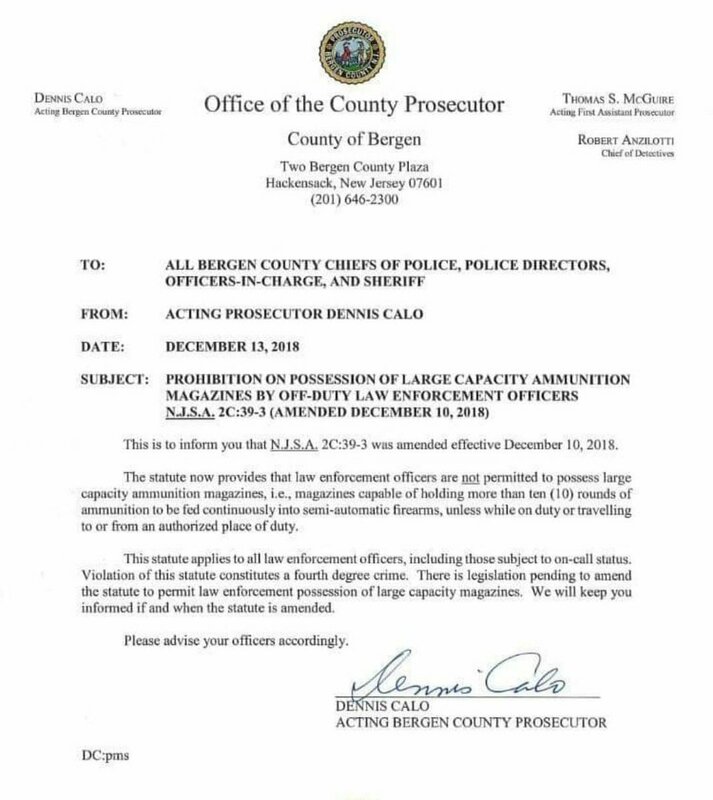 New Jersey forcing off-duty cops to use LOW-capacity magazines!! Last June New Jersey Governor Phil Murphy signed into law a ban on high-capacity gun magazines, meaning that anyone with a magazine that holds over 10 rounds would be guilty of a fourth-degree crime. He’s exactly right. It’s bad enough that they would do this to their own citizenry. But it’s even more unbelievable that they would handicap off-duty cops life this. As Breitbart points out, the law was challenged in the courts but the Third Circuit recently upheld the ban 2-1. The one dissenting judge was a Trump appointee. I can only hope that the ruling is appealed and the law is found unconstitutional.